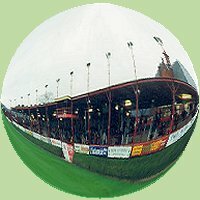 With two-up two-down having been introduced between the Football League and the Nationwide Conference for the first time Exeter City became the first club to finish second to bottom of the League to be relegated to the Conference at the end of the 2002/03 season. Shrewsbury Town went down with them and they were replaced by Yeovil Town and Doncaster Rovers - 2002/03 Conference table and play off details. After spending five seasons in the Conference Exeter regained their place in the Football League after winning the Conference play-offs in 2007/08 - 2007/08 Conference table and play-off results. * Exeter failed to play one of their League matches in the 1973/44 season - full details.